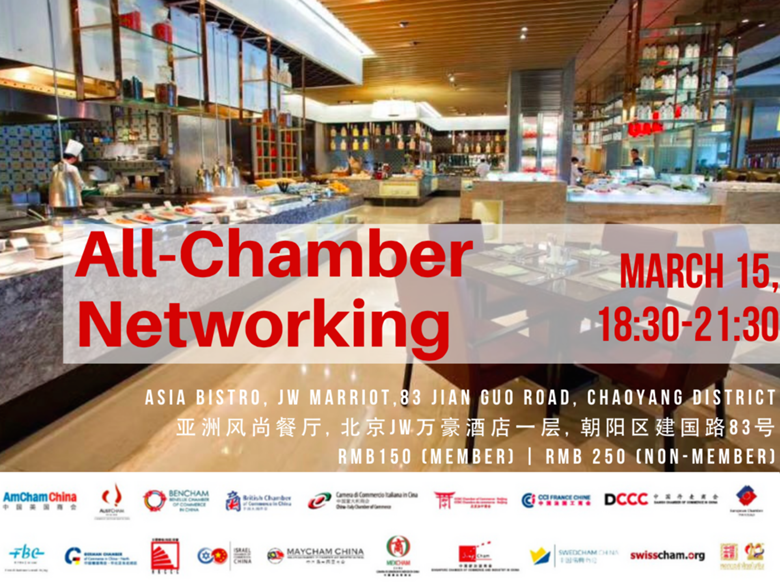 Singapore Chamber of Commerce & Industry In China, in cooperation with 16 other leading foreign Chambers in Beijing, are holding an the All-Chamber Welcome Back Networking event. This gathering is one of our largest networking events of the year with more than 500 attendees from a wide variety of industries. It's an excellent opportunity to network, meet new business contacts, and be re-acquainted with peers and others important to your ongoing success. Come and join us at our first get together in 2018!